Hornets are closely related to Yellowjackets. They are relatively large insects with over 22 varieties. 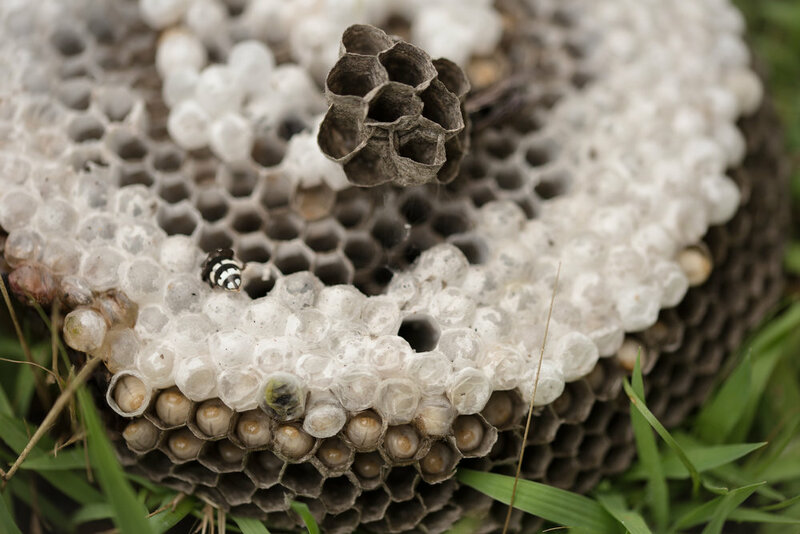 Hornets build nests by chewing wood into pulp. These beautiful stinging insects will aggressively guard their nests if they feel threatened. So, best to play it on the safe side and stay away! 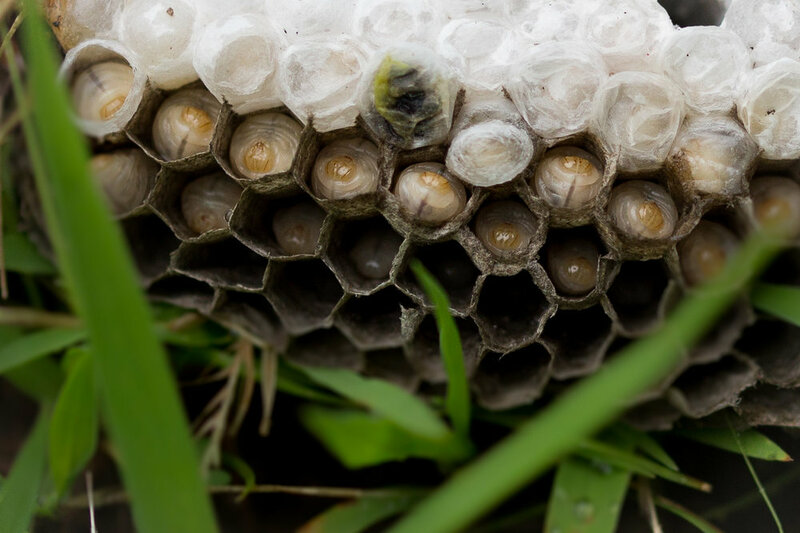 Below are some epic images of hornets tending to their larva! Photo Credit Kelly Mays Photography.